This course begins in February each year. We prepare you for the future of paramedic science, teaching you advanced skills. Our close partnerships provide top quality practical experience. Uniquely, we support students on work placements using Skype. Your teaching team comes with paramedic expertise. Our small classes give you excellent levels of access to tutors. Take advantage of multiple opportunities to practice in the community. Delivered by dynamic, experienced and supportive tutors, this Paramedic Science degree not only prepares you for today’s profession. It also advances your skills and knowledge, preparing you for ever-changing health care practice. We equip you to respond to changes in paramedic care, and adapt to deliver new practices. Our course originated from the need for ongoing recruitment of paramedic graduates by local services. In partnership with Health Education East of England and East of England Ambulance Service Trust (EEAST), we designed a degree that transforms you into a highly competent Paramedic, equipped for the out-of-hospital environment. To ensure you learn how to deliver safe, effective care, you work alongside paramedic educators during your practice placements, which make up 50 percent of your studies. We regularly support mentors and students whilst in practice with face-to-face meetings and the additional option of Skype tutorials in between. You have plenty of opportunities to hone interpersonal skills too by practicing in public places or at events – carrying out blood pressure checks and teaching CPR for example. 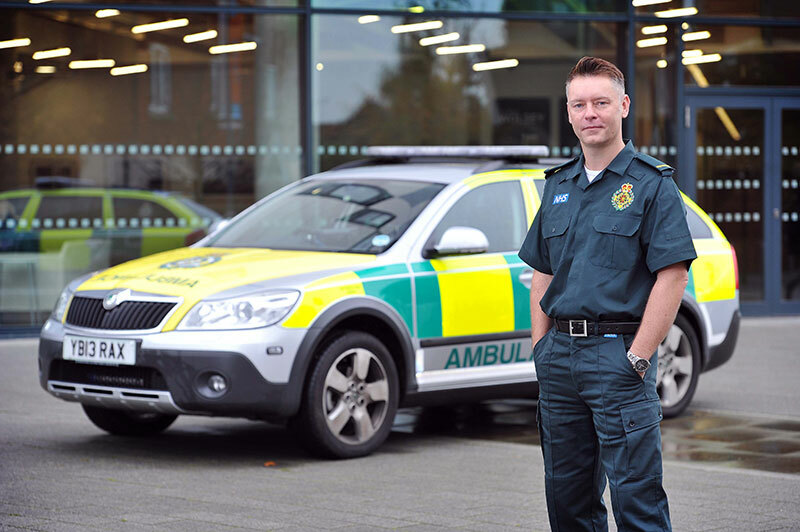 When you complete the degree, you are eligible to apply for registration as a paramedic with the Health and Care Professions Council (HCPC), qualifying you to practice professionally. Visit the Paramedic Science modules page for detailed information of the content of each module. Our assessments vary in nature module to module, depending on learning outcomes, learning and teaching strategies, and the type of the module. However, they include Practice Assessment Document, Objective Structured Clinical Examinations (OSCE s), and examinations. Information and useful resources for Paramedic Educators are available here. This module aims to provide students with a sound foundation on which to develop key transferable skills while introducing and exploring the history of the profession and what it means to be a registered professional. This module aims to provide students with an introduction to human anatomy and physiology. The emphasis of this module will be based upon normal biological function. This module instils an appreciation and understanding of the social, psychological and behavioural issues which affect individuals in contemporary society. It is designed to enable the student to explore these issues in relation to the role of the paramedic. The focus of this module is the development of the essential knowledge, skills and value based attitudes necessary for the student paramedic to contribute to management and assessment of individual patient’s in a range of practice settings. This module introduces the principles of interprofessional (IPL) working, contextualising each student’s growing professional identity within the broader interprofessional arena. This module builds on skills and knowledge gained during the Year 1 module Patient Management; Care of the Individual, and develops students’ ability to make clinical decisions for more complex cases. This module develops students’ understanding of the principles of pharmacology and the related legal and ethical issues. It explores cell biology, pharmacodynamics and pharmacokinetics and their relevance to health care practice. The overall aim of this module is to extend students’ knowledge and appreciation of research issues, from an examination and understanding of methodology and means of application, to an understanding of research in the broad context of paramedic practice. This module builds on knowledge gained from the Year 1 IPL module by continuing to promote awareness of the student’s role in the IPL team. It also enables the student to work towards the critical insights required to succeed in the Year 3 IPL module. The human body relies on a series of anatomical and physiological processes in the maintenance of homeostasis. Understanding such processes is crucial for the Paramedic student in the understanding of pathophysiology and subsequent patient management. This module enables students to practice as an independent paramedic, able to implement their own professional judgment in demanding and complex environments drawing on knowledge and skills gained throughout Patient Management: Care of the Individual, Patient Management: Priorities of care, and through successful completion of Years 1 and 2 practice assessments. This module explores the role of the registered paramedic by enhancing students’ professional knowledge and further explores their professional and legal obligations when delivering and managing care in the care environment. This module provides an opportunity for the student to produce an individual study project developed from an aspect of paramedic practice in which they are particularly interested. It enables students to further develop skills acquired throughout the programme such as enquiry based learning, problem solving, critical thinking and reflection. 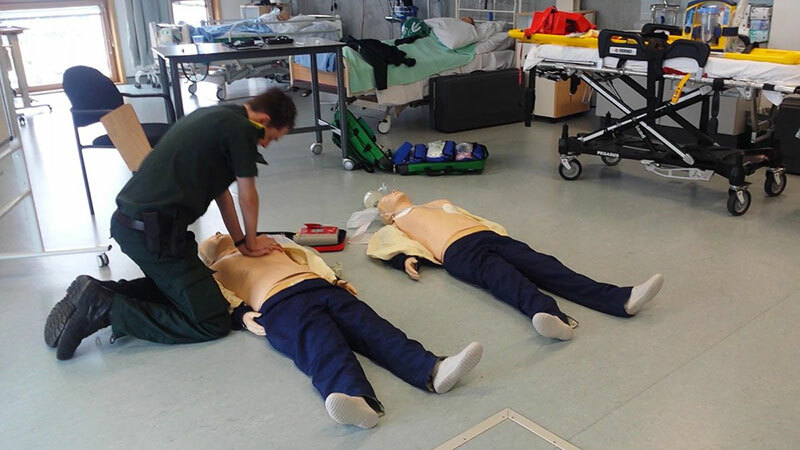 On completing the course, students can progress in to a range of careers including working in a helicopter ambulance, trauma teams, heart response teams, primary care, paramedic on oil rigs, control units and hospital liaison roles. Paramedic Science graduates are very employable as the skills gained will span the patient journey. The more experienced a graduate is, the more they can contribute to different areas. Students learn how patient pathways are changing, looking more at medical prescribing which impacts how we care for patients. Applicants are expected to hold five GCSEs grade 4/C or above to include Mathematics, English and Science (or equivalent). Successful interview and Admissions test. As part of the selection process, you will be expected to demonstrate good knowledge and a clear understanding of the scope of work that a Paramedic is required to undertake as well as the significance of the NHS Constitution and its core values. 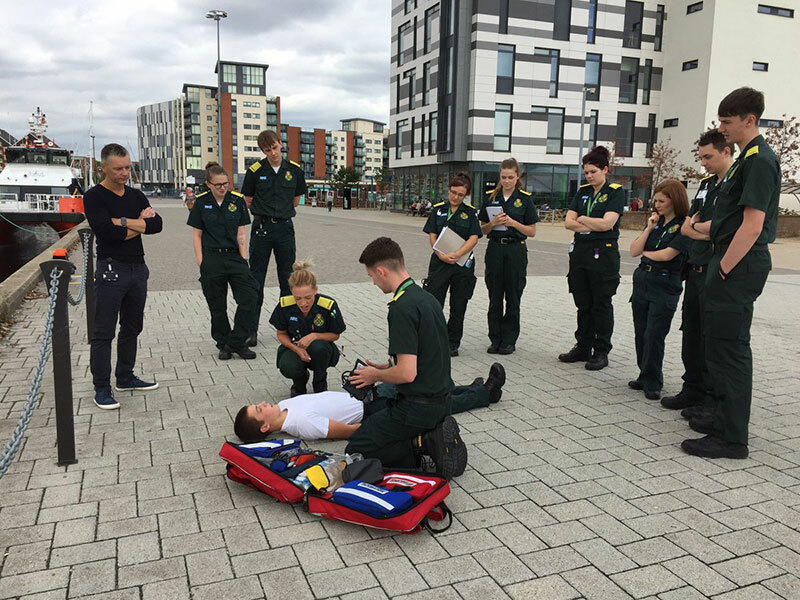 Teaching for Paramedic Science takes place at our James Hehir building, situated on the stunning Ipswich Waterfront. We utilise our skills room as well as specialist equipment and mannequins for practical work, as well as outside scenarios to give students some practical experience handling various situations.